StormX, the Blockchain token-powered adtech and micro-task innovators, has today announced Jaxx, the leading multi-asset digital wallet, as the official wallet partner of STORM token. As part of the strategic partnership, Jaxx users can participate in the STORM token sale directly via its wallet; the first time Jaxx will help to support a token from pre-sale through to post sale. In addition, Jaxx will add the ERC-20 based STORM tokens into its user-friendly application available on eight platforms. Contributors will be able to contribute ETH from their Jaxx wallets to the STORM token ETH address during the sale, which will commence on October 20. After the sale, STORM tokens will immediately appear in the Jaxx wallet. The partnership will also let supporters manage their own keys for STORM tokens via Jaxx’s wallet app. “Jaxx is pleased to become the official wallet sponsor of StormX, an innovator in the Blockchain and adtech industries, and to offer our community a new way to participate in the token sale process. Decentral inc. selects the highest quality tokens for Jaxx which is why we are thrilled for the STORM token to join our existing offerings. 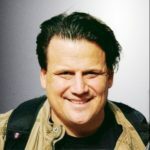 StormX will disrupt and revolutionize the global freelance job market, creating new and unique earning opportunities for individuals,” said Anthony Di lorio, Founder and CEO of Jaxx and a prominent member of StormX’s Board of Advisors. As the official wallet of STORM token, Jaxx will help StormX achieve its goal of democratizing user experience by allowing users to earn any time, from anywhere, from any device. The wallet’s focus on security and simplified user experience, as well as its commitment to empowering individuals to take complete control over their own assets, make it an ideal technology partner for STORM token holders. “StormX is honored to collaborate with Jaxx, one of the most influential and distinguished organizations in the Blockchain space, and to be its first partner for a token’s entire lifecycle, from pre-sale to post-sale wallet support. By combining Storm Play’s 270,000 existing monthly active users with Jaxx’s 400,000, we hope to forge an incredibly strong community centred on innovation and building a new crypto-economy. “With Jaxx’s support, StormX is increasing its value offering and strengthening its platform, allowing us to present our loyal supporters with a next-level gamified marketplace. This collaboration with Jaxx will help maximize the usefulness of our STORM tokens and solidify their value in the cryptocurrency market,” added Yu. 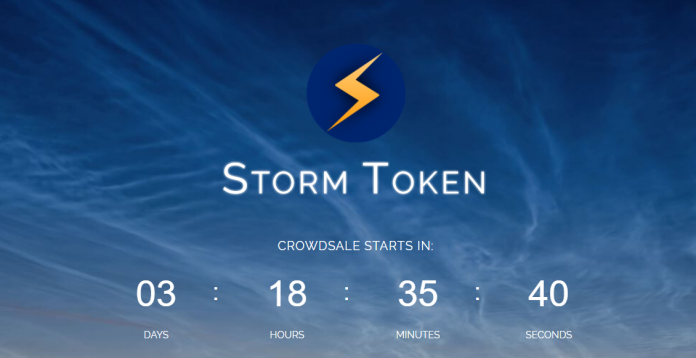 Registration is now open for the token crowdsale on Friday, October 20 via stormtoken.com/tokensale. You guys should cover UnikoinGold.. They have already raised more than $35 millions and they’re 5 days away from their ico ending. THE STORM TOKEN Crowdsale is November 7, 2017 – Tuesday. Over 9,641 people pre-registered for the community-only list for the community appreciation early access sale period. The overwhelming demand has taken the team by “storm” as we are working around the clock. We are very grateful to our community.